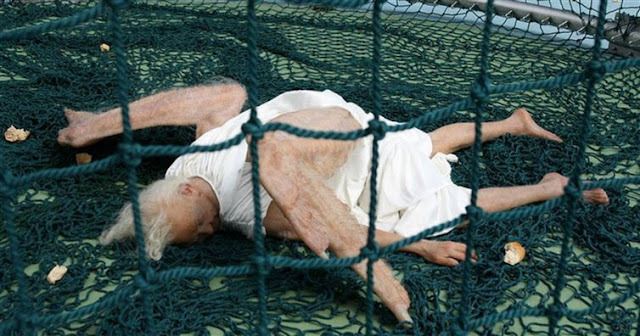 Creepy Images Of "Fallen Angel" Have Gone Viral. But What It Really Is? OMG! Right after NASA announced they had found Earth 2.0, an angel fell from the skies to our Earth. The angel appeared to be of the older variety and really lived up the, "help I've fallen and I can't get up," phenomenon from the 90s. 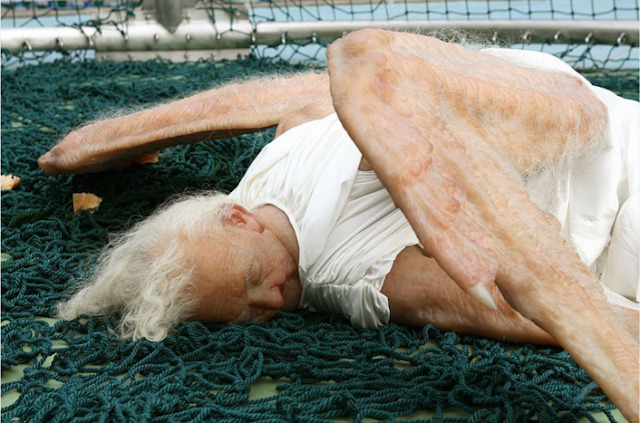 The creature was dubbed a "fallen angel" who had fell from the heavens. Although, it appeared to be an elderly woman who had chicken wings attached to her back. Around the woman were pieces of food that internet sleuths determined to be apples or bread. Could The Rapture Be Upon Us? So what could this real-life fallen angel be? It is in fact a hyper-realistic sculpture created by Beijing artists Sun Yuan and Peng Yu. 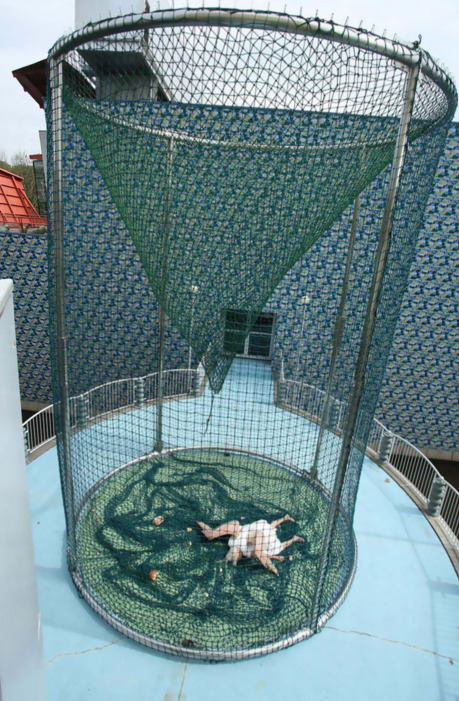 The artists used stainless steel, woven mesh, silica gel and fiberglass to create the ever-realistic sculpture. Based on the artists' website, the sculpture was actually unveiled in 2008, but has just become popular among the netizens recently. Some say it's creepy, others say it conveys an important message and some do not care at all? 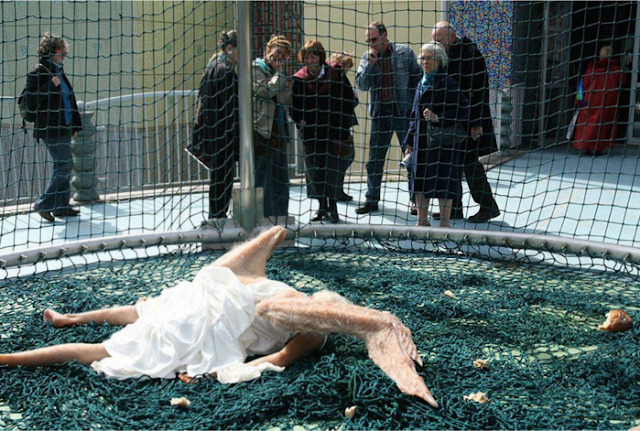 How did the chicken women fallen angel make you feel?